We are pleased to announce that applications to the Fellowship Programme 2019 open on Monday 10th December 2018. The deadline for application is Sunday 3rd February 2019. The Institute will be running a Fellows 2019 Launch Webinar on Friday 11th January 2019 from 2:00pm to 3:30pm UK time. 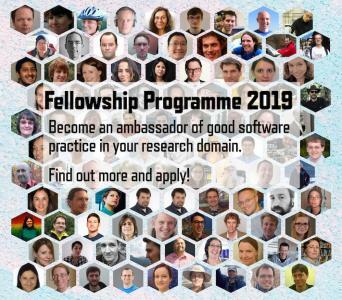 The Fellowship Programme run by the Software Sustainability Institute funds researchers in exchange for their expertise and advice. The main goals of the programme are to engage with individuals who are passionate about research software use and/or development. Being a Fellow also helps develop skills and knowledge in their area of software sustainability, empowers them to speak about software sustainability issues and network with like-minded individuals from a wide variety of research areas. Each Fellow will be allocated £3,000 to spend from 1st April 2019 until 31st July 2020. 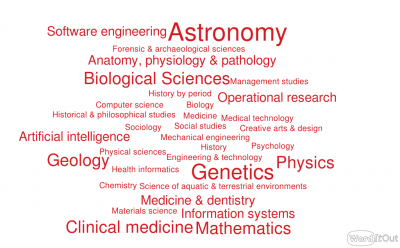 The funding is flexible to support activities that are beneficial to both the Fellows and the Institute: for instance, to fund travel to conferences, to setup and run workshops, to organise software sustainability sessions at domain conferences, or to host, organise or teach training events, such as Software Carpentry, Data Carpentry or Library Carpentry. For examples of activities funded by the Fellowship Programme have a look at some of our Fellows’ blog posts. Please visit the Fellowship Programme page for further information. If you have questions about the Programme, please contact Raniere Silva, Institute Community Officer at fellows-management@software.ac.uk.